The specific techniques or tactics of guerrilla warfare are not, except in unimportant detail, to be learned from texts. They relate always to the specific local situation and are supremely expedient: the guerrilla is, above all, an improviser. The nature of his improvisation depends, naturally, on immediate and long-range objectives, the terrain, the relative strength of his forces and those of the enemy, the material means at his disposal, and similar factors. Since the guerrilla’s numerical strength and arms are inferior to those of his enemy (or he would not be a guerrilla), and since his most immediate concern is mere survival, the basis of all guerrilla tactics is, obviously, evasion. Successful evasion means the ability to avoid confrontation except at one’s own choosing, yet always to be able to achieve the local superiority to strike with effect. At the time, a little more than six weeks ago, when the Belize Prime Minister, Hon. Dean Barrow, asked/instructed the Belize Coast Guard to stand down from Sarstoon Island in the face of Guatemalan aggression, we cited a Bedouin story from a Thomas Friedman book to illustrate how dangerous the implications could be following a stand down like this. Today, the Guatemalans have essentially said to our government leaders that Sarstoon Island is not ours to do with as we will, and that it is best Belize meet them at the Organization of American States (OAS) and wait until the matter is judged by the International Court of Justice (ICJ). The Sarstoon Island, mind you, was an integral part of Belize’s sovereign territory when Belize became a nation-state accepted into the United Nations and the OAS in September of 1981. Before proceeding, let me say that I speak here as a mere Belizean citizen and as the publisher of Belize’s leading newspaper, for whatever that is worth. This Sarstoon business has become a delicate, critical moment in Belize’s history. I was impressed by Senator Lisa Shoman’s discourse on Friday morning on the Opposition People’s United Party (PUP) radio/television station. A former Belize Foreign Minister herself, as well as a former Belize Ambassador to the United States of America, the lady Shoman was careful not to be baited into personal or policy attacks upon the present Foreign Ministry and Minister. She stated her party’s position on various relevant issues, she discussed some of the political and diplomatic history involved with the Guatemalan claim, but she understood and respected the nature of the Foreign Ministry in Belize’s constitutional framework, and she refused to become trivial, although she was partisan, in her discussion. Apart from her role as the Leader of the Opposition PUP’s business in the Senate, Senator Shoman is not an executive leader of the PUP. She is not a PUP area representative nor is she a PUP standard bearer. What she is for the PUP insofar as the present Sarstoon Island crisis is concerned, she is a solid, reliable data base and an expert, scholarly adviser with experience on the diplomatic ground. Where the academic intricacies of the claim and its history over the last twenty years are concerned, I could not hope to challenge the good Senator. I will, however, take a leaf from her playbook and state categorically that I am not here to malign the policies or decisions of the Prime Minister, the Foreign Minister, or the National Security Minister of Belize. But, as the publisher of Amandala, I have a right to disagree, from time to time, with these Cabinet gentlemen. In history, you know, there have been some great leaders who were overtaken by circumstances, so to speak. Take Toussaint L’Ouverture as an example. In the annals of black resistance to slavery and white supremacy, there is no one greater than this Haitian-born slave, who overthrew the French, then defeated Spanish and British armies, and ruled Haiti absolutely until the French emperor, Napoleon Bonaparte, sent his brother-in-law at the head of a French army to put Toussaint in his place. This was the year 1802. Toussaint stumbled on diplomatic niceties. The Haitian masses, whom he had brilliantly led to freedom out of slavery, became anxious and worried. They turned to the brutal Dessalines for leadership. The results were tragic for Haiti in some ways, but in 1802 the Haitian people felt this was the way they had to go. Forward to 1939. Neville Chamberlain was the Prime Minister of Great Britain, at that time still considered the greatest nation-state in the world. Chamberlain had to be a man of substantial gifts and ability to become the leader of such a powerful country. But circumstances in Europe overcame Chamberlain. The British people felt that they had to turn to a man they had previously ignored on several occasions. Winston Churchill had been considered a warmonger. But the European circumstances had become such that the people of Great Britain turned to Churchill for salvation. In history, Chamberlain’s name became synonymous with foolish appeasement. I believe there are orchestrated attempts which have been made over the last few months to intimidate and bully the Belizean people. The Belizean people are not looking for trouble. There is a problem we inherited when we attained independence in 1981, and our various leaders, UDP and PUP, have gone the way of peaceful resolution to that problem. 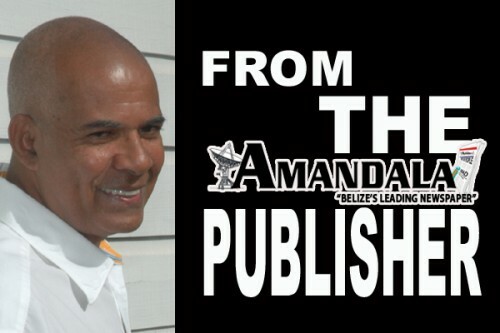 On several occasions over the years, the way of peaceful resolution has been uncomfortable, aggravating, even infuriating for the masses of the Belizean people. In their schools, Guatemalan children are all taught that Belize belongs to Guatemala. Nobody has to teach Belizean children in Belize’s schools that Belize belongs to us. This is a living reality into which all roots Belizeans are born. The act of teaching their children that Belize belongs to them is an act of daily aggression by the Guatemalan state. This year’s various acts of military aggression by the Guatemalans have provoked a reaction in Belize which is different from the one the Guatemalans expected. The masses of the Belizean people have become increasingly angry. This is how it appears to me. There are ruling United Democratic Party (UDP) politicians who have said that the votes in their favor in three different elections this year are votes in favor of their Petrocaribe behavior. Should the UDP politicians, however, reach the point of saying that the votes for their candidates are votes for the UDP’s International Court of Justice (ICJ) policy and their diplomatic posture vis-à-vis our hostile neighbors, then we will have a problem. The Opposition PUP, when they are in power, do not have a historical record of being macho with the Guatemalan claim. But that is the politics, macho politics, the PUP, in Opposition, have begun to play in seeking to embarrass this UDP administration. The Guatemalan claim is probably the area where the Belizean people are most fed up with PUDP games. Guatemala is a country which has historically placed military violence on its altar of worship. Guatemala is therefore a country to be feared. It is necessary for Belizeans to stop praying to electoral politicians. Belizeans have to figure out a way to defend ourselves.